Senior citizens in Ariel play an active role in the community – and have been involved in any number of projects, from volunteering for American Friends of Ariel (AFA), to educating schoolchildren about the role of Jewish veterans in WWII, and even resuming studies at Ariel University. This year, AFA has chosen to focus its efforts on boosting our Seniors Give Back to the IDF program, run in partnership with the local Association for the Well-Being of Israeli Soldiers (Agudah L’Ma’an Ha’Chayal). 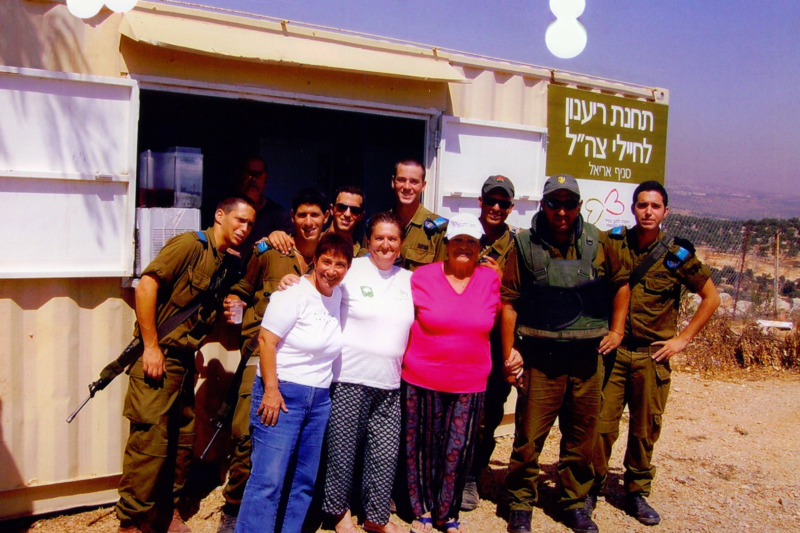 For over two decades, senior citizens have helped run the IDF Comfort Corner – providing soldiers passing through the region with hot and cold drinks, snacks, and newspapers so that they are well-cared-for along the way. Today, beyond the programming our senior volunteers have provided for women and men in uniform, including not only food and supplies but entertainment and a listening ear, the Comfort Corner facility itself needs renovations. To expand the programming available for soldiers and seniors alike, AFA aims to expand the current facility to 120 square meters (1300 square feet), and include a full-scale kitchen, meeting areas outdoors and indoors, restrooms, and a synagogue.